Animated STAR TREK - "The Jihad"
Kirk and Spock join a party of aliens to search for and recover a priceless artifact, the loss of which may cause a galactic holy war; but they soon learn that one of the party is a saboteur. PSA epilogue for "The Jihad"
Jihad is an Arabic word which means holy war. This episode's author Stephen Kandel wrote another animated STAR TREK episode "Mudd's Passion". He also wrote the two Harry Mudd episodes of the Original STAR TREK series, "Mudd's Women" and "I, Mudd." This episode includes a temporal anomaly. Kirk and Spock beam down to the Vedalan asteroid and are whisked away to a mad planet where they have an adventure that probably lasts for several hours. Afterwards they are returned to the asteroid and undergo a debriefing. They then are beamed back aboard the Enterprise. Sulu is stunned that as far as he is concerned they had only been away for a couple of minutes. In the 5th-season STAR TREK: Deep Space Nine episode "Trials and Tribble-ations," representatives from the Department of Temporal Investigations roll their eyes when Captain Sisko tells them he had an encounter with Captain James Kirk's U.S.S. Enterprise. The officials state that Kirk has had no fewer than seventeen reported temporal violations. 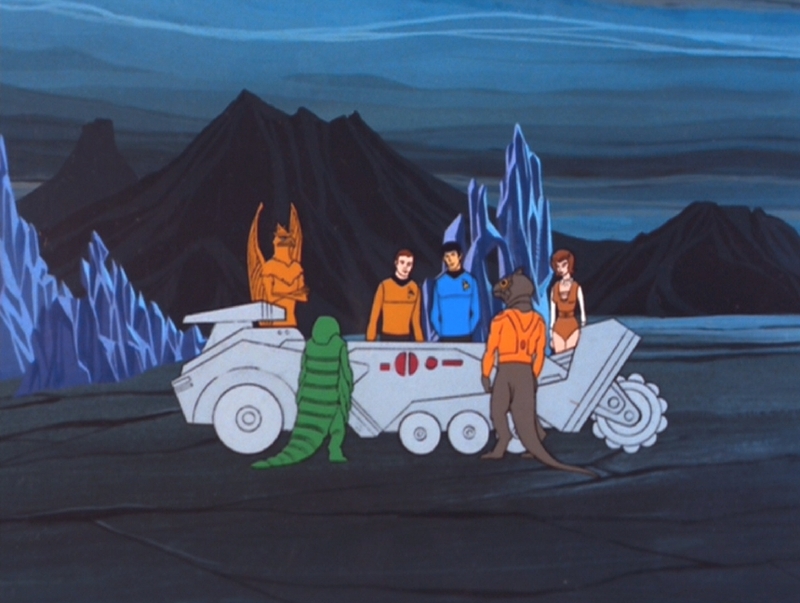 Kirk and Spock's adventure with the Vedalans was definitely one of the seventeen. We only know of nine temporal violations Kirk was involved in: "The Naked Time" (TOS), "Tomorrow Is Yesterday" (TOS), "The City on the Edge of Forever" (TOS), "Assignment: Earth" (TOS), "All Our Yesterdays" (TOS), STAR TREK IV: The Voyage Home, STAR TREK: Generations, "Yesteryear" (TAS) and "The Jihad" (TAS). 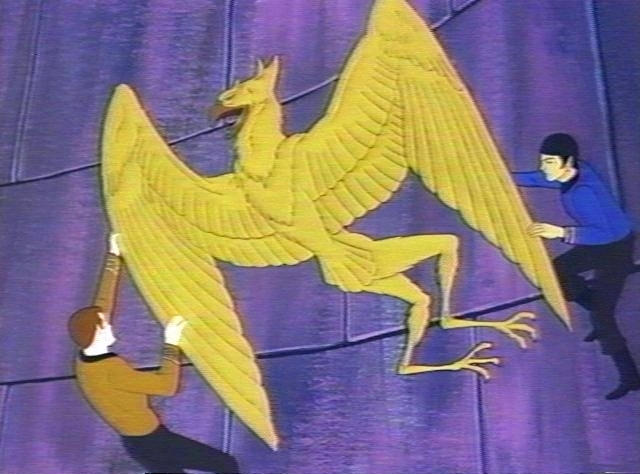 The character of Tchar was an eight-foot tall birdlike alien who was shown flying in the episode. Tchar, and the aerial fight between he and Kirk and Spock especially, would have been impossible to do in a live action series, as written. This is a good example of the animated STAR TREK series being able to show us interesting non-humanoid aliens. This episode intoduced a number of new alien species to STAR TREK, one of which was the Vedala. Possibly the oldest space-faring race known, the cat-like Vedala were very powerful, technologically superior to the Federation, and somewhat secretive, however, their physiology was fairly delicate. They possessed technology to send persons vast distances, almost instantaneously. 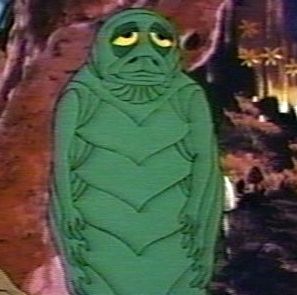 Em/3/Green's people were another new sentient species introduced in this episode. They were beings with six arms and two legs and were characterized by caution to the point of cowardice. Em/3/Green's people were called the Nasat in the STAR TREK: Starfleet Corps of Engineers book series by Pocket Books which debuted in 2000. P8 Blue, a member of this race (pictured at left), is member of Starfleet assigned to the U.S.S. da Vinci and is a regular character in that book series. 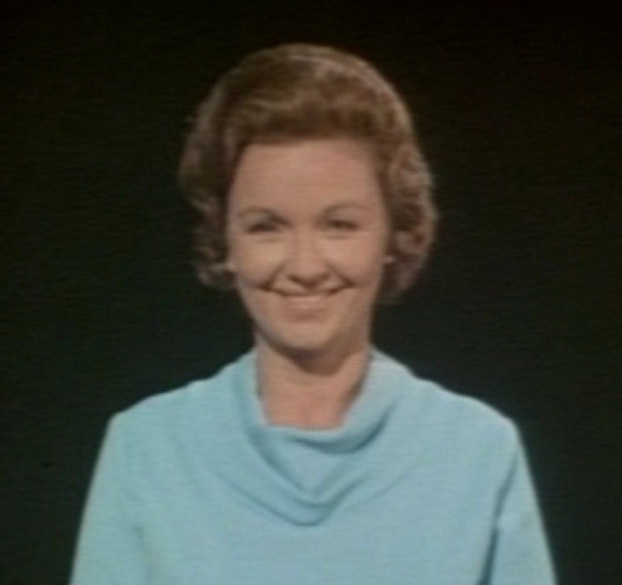 Jane Webb (pictured) provided the voices of Lara and the Vedalan in this episode, not Majel Barrett as frequently reported. It appears that Jane Webb was a last minute substitution for Ms. Barrett since at the time that voice parts for "The Jihad" were being recorded, Majel Barrett was eight months pregnant with her son, Eugene. Her pregnancy was unfortunately fraught with unexpected and sudden bouts of nausea. Her and her husband Gene's only child, Eugene Roddenberry, Jr., was born in Los Angeles on February 5, 1974, just three weeks after this episode aired. Jane Webb provided voices on several Filmation productions including the regular character of Erica Lane (pictured) in "Fantastic Voyage" (1968), Batgirl and Catwoman in "Batman and Robin" (1968-69), Mary Ann and Ginger in "The New Adventures of Gilligan" (1974), Katy O'Hara and Lorelei Brown in "My Favorite Martians" (1973) and literally every female voice in the several Archie animated series from 1968-1978, including the characters Betty, Veronica and Sabrina the teenaged witch. Even though the animated series aired during children's programming on Saturday mornings, this episode contained two scenes where the humanoid Lara (pictured) tells Kirk that she thought that he was attractive and she later propositioned Kirk with an offer of "taking some pleasure" during their mission and of "being together" and "making some green memories." This type of dialog was not typical for scenes in the average animated series. There is a page in this site that focuses on the Vedalan Land Vehicle that featured prominently in this episode. 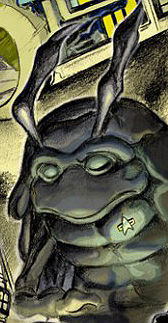 David Gerrold, scriptwriter of the animated series episodes "More Tribbles, More Troubles" and "Bem"STAR TREK provided the voice to the diminutive insect-like character Em/3/Green. This episode was the last episode of the first season. Four starships were seen in orbit of Vedala. 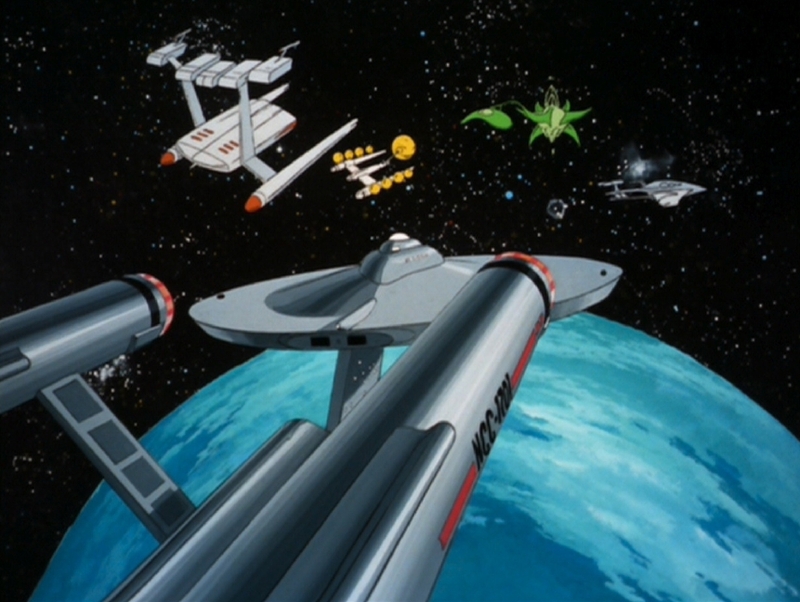 The ships were drawings reused from "The Time Trap." The ships presumably belonged to Tchar, Sord, Lara and Em/3/Green. "The Jihad" was novelized by Alan Dean Foster in Star Trek Log Five published by Ballantine Books in August 1975. Also novelized in the book was "The Ambergris Element" and "The Pirates of Orion".